From 2015 to 2016: Do you hear what I hear? 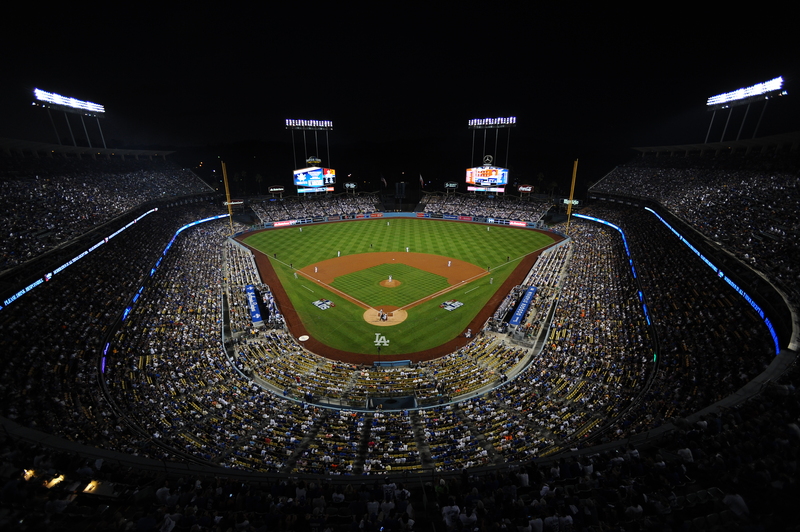 Somewhere in the opaque, decaying memories of my brain, I can hear fans cheering at Dodger Stadium. The year was 2015. The Dodgers were National League West champions, and they had taken the lead in the first inning of the deciding game of their first postseason series. For all that had gone wrong, for all the preseason and midseason and even postseason plans chipped and broken, all this had gone right. Los Angeles was eight innings and eight games from winning a World Series. Against all expectations, the Dodgers were peppering the superb Mets right-hander, Jacob deGrom. After Howie Kendrick lined out to start the bottom of the first inning, rookie shortstop Corey Seager hit the first of four consecutive singles, and Dodger Stadium was electric. I don’t know how much longer that memory will last. Already, it’s mostly theoretical. I’m not actually hearing the cheering. I just know the cheering was there, and I’m projecting that sound inside my head. Now in my brain, I hear bickering. Not muffled. Loud and clear. It’s not surprising that we bicker. We’re a family, we Dodger fans. The bickering drives everybody crazy, but it doesn’t stop. We all want the best. And yet, back and forth during the offseason … They don’t know anything. But they think they know everything! We’re not only second-guessing methods, we’re questioning intentions. Houses explode. Family is complicated, man. 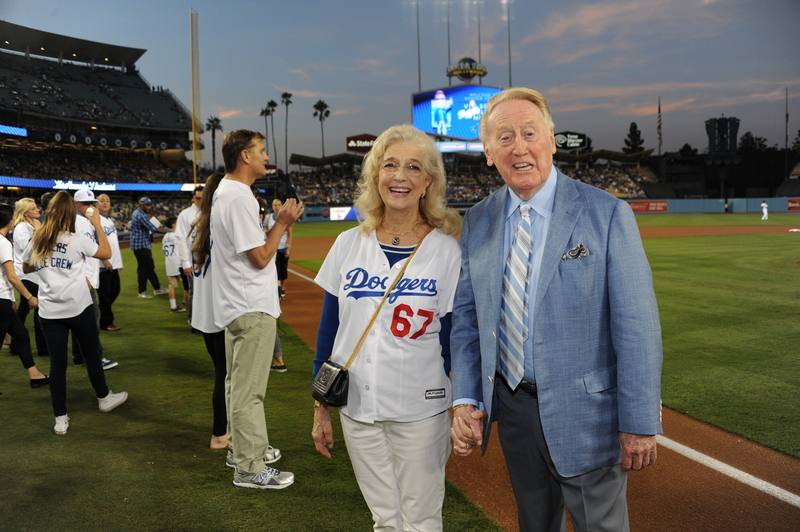 Let Vin Scully into your brain, and you’ll hear, “If you want to make God laugh, tell him your plans.” You’ve heard him say it a dozen times, if not a hundred. So, I see that, and I scratch my head, because the Dodgers have stated their plan, over and over and over again. Here’s one of a dozen times, if not a hundred. 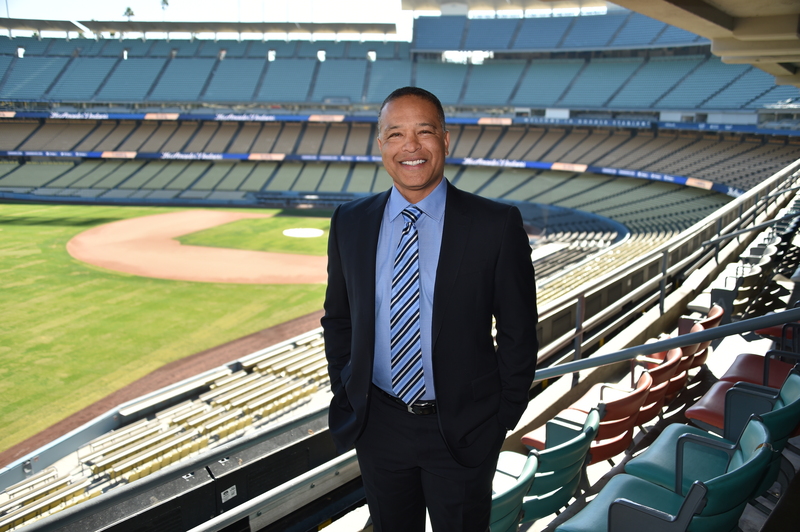 “We’re tasked with doing everything we can to put ourselves in position to win a World Championship this year, while maintaining the position to sustain success over the long haul,” president of baseball operations Andrew Friedman said early this month. That’s a plan. No, no — that is a plan. In short, the Dodgers made a plan, and Scully can tell you what happened next. When things don’t go according to plan, one of two things happen. People get angry, or people regroup and move forward. For the Dodgers, the plan remains in place, with new efforts to execute it (most recently in the signing of Scott Kazmir) because the alternative is to operate just the way you’d doubt the most — without any foresight at all. 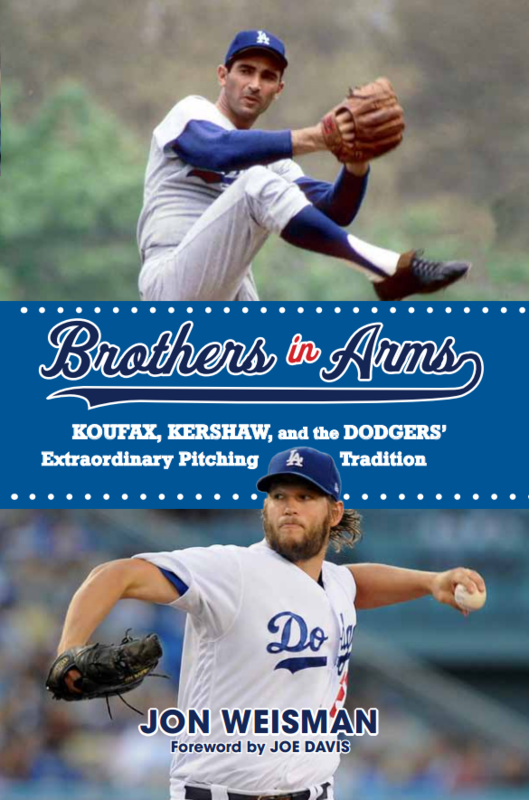 Now you can argue that the Dodgers should have done X or Y or Z. 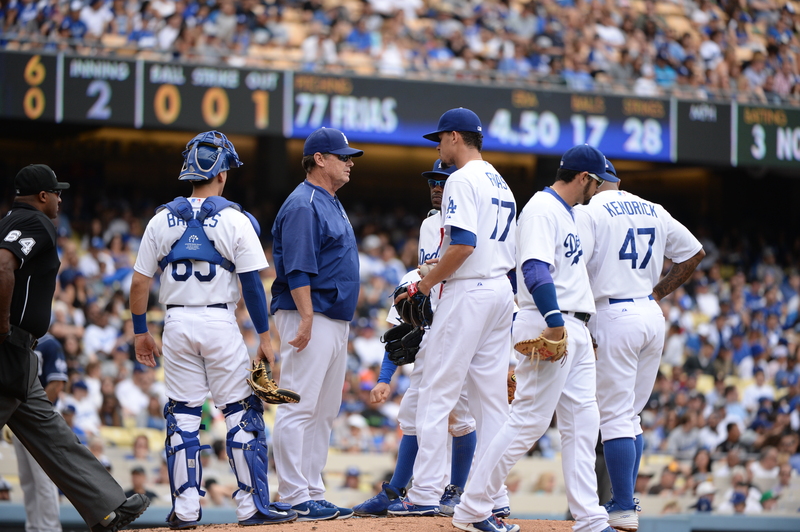 That the Dodgers haven’t done so doesn’t mean they don’t have a plan, or philosophy, or strategy. It doesn’t mean they have given up on 2016 or any year. My plan is to raise my kids as people with decency and the opportunity to do whatever they possibly can with their lives. Will it be successful? I can only hope. It involves a dozen things going right, if not a hundred. That’s true even though 29 other families raising children with decency and opportunity doesn’t prevent the same for mine. In the end, people hear what they want to hear, and see what they want to see. Focus on the second half of Joc Pederson’s season and the first half of Chris Hatcher’s, and despair. Do the opposite, and hope. Take in their entire seasons, and you have an open mind, knowing that baseball is predictable and unpredictable at once. The open-minded make the quietest sound. Maybe they’re the bass players of the band, stagehands at the spectacular, librarians at the gates. 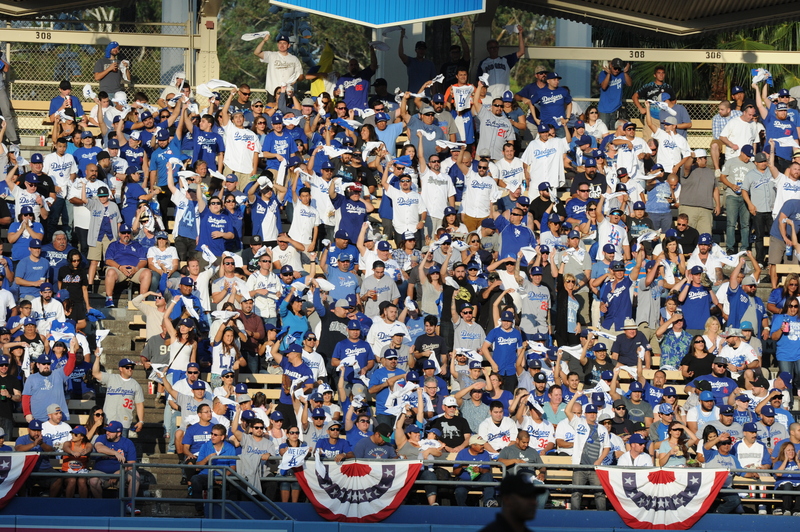 For some — for more each year since 1988 — being a Dodger fan is all or nothing. But all or nothing is a fraught way to live, especially when all or something is a true alternative. You don’t have to sacrifice your dreams to take pleasure in smaller victories. The goal remains the same. I believe in the all or something. Somewhere in my brain, unleashed like a can hissing open, I hear the crackle of the cleats on Camelback grit, and picture the stream of ballplayers old and young ambling through the low February sun to their morning stretch in Arizona. I hear the pop — that astonishing, glorious pop — of ball into glove. I’ve said this before, but I don’t miss baseball in the winter. The season is long and grueling and intense, and the break — a relatively short break, three months vs. nine — is welcome. 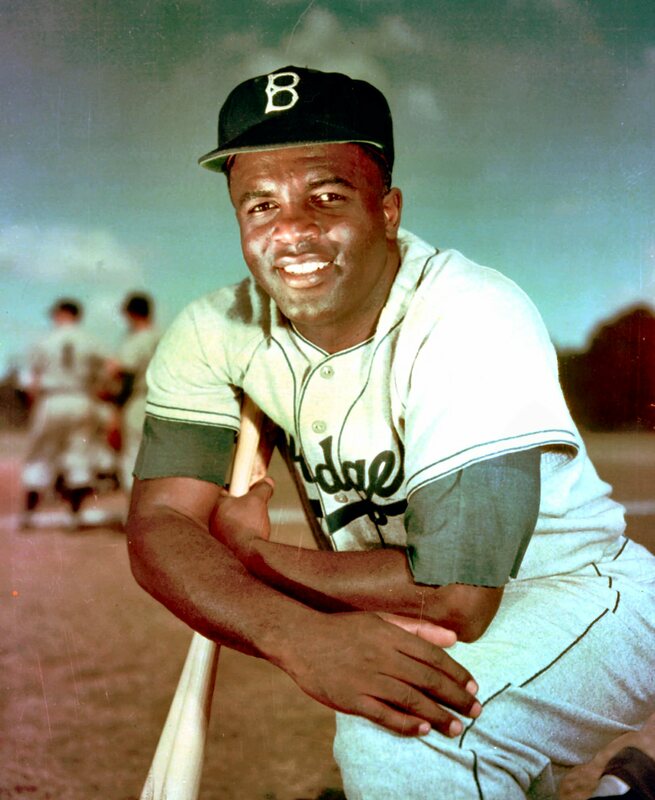 I’m in no hurry to get back to baseball, because I know baseball is coming fast. Then that crackle and pop arrives, and they are blessed sounds, sounds of serenity, sounds that, at least for a short while, tend to muffle all worries. It’s temporary. It fades into the grind that scrapes its way through spring all the way to fall. Elation and deflation will do battle in 2016, as they do every year. So will the forces of belief and doom. Like the train rolling out in “The Music Man,” it will all begin again. Ya can talk, ya can talk, ya can bicker ya can talk, ya can bicker bicker bicker, ya can talk, ya can talk. Line drives will be snagged, dribblers will roll into glory. The odds will prevail, until they don’t, until they do again. It’s a game, though we take it seriously. It’s a game we invest our days, our years, our lives in. It is not a game for the thoughtless. It’s a game for the dedicated. It’s a game that fans, players, coaches and executives stake their lives to. To hear those cheers. At least for a moment. Hopefully for an eternity. Loud and clear, and never-ending. 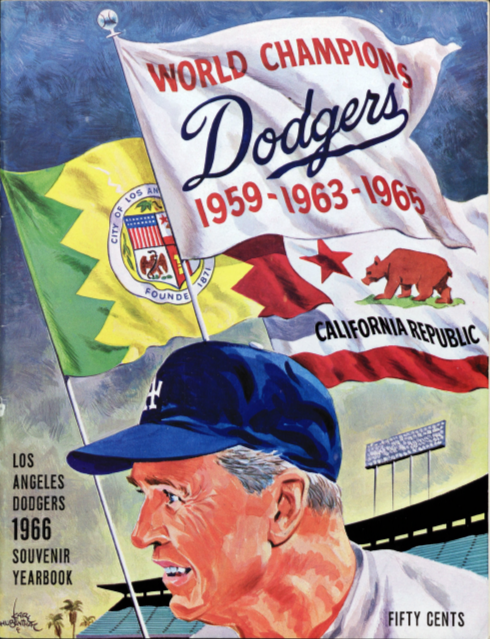 Having spent this year celebrating the 50th anniversary of the 1965 World Series champion Dodgers — review all the posts here — I thought I’d take one last look at the season through some selected pages of the 1966 Dodger yearbook. Though Scott Kazmir potentially gives the Dodgers an all-lefty starting rotation, the newest Dodger isn’t your usual southpaw. 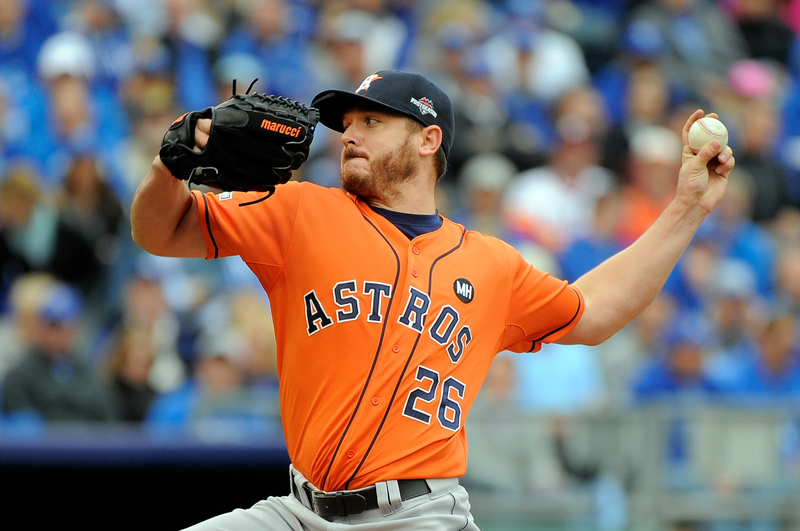 Three-time All-Star left-hander Scott Kazmir has signed a three-year deal with the Dodgers. He was a top Dodger from August through October, but did you notice? It’s OK if you didn’t. Chris Hatcher understands. 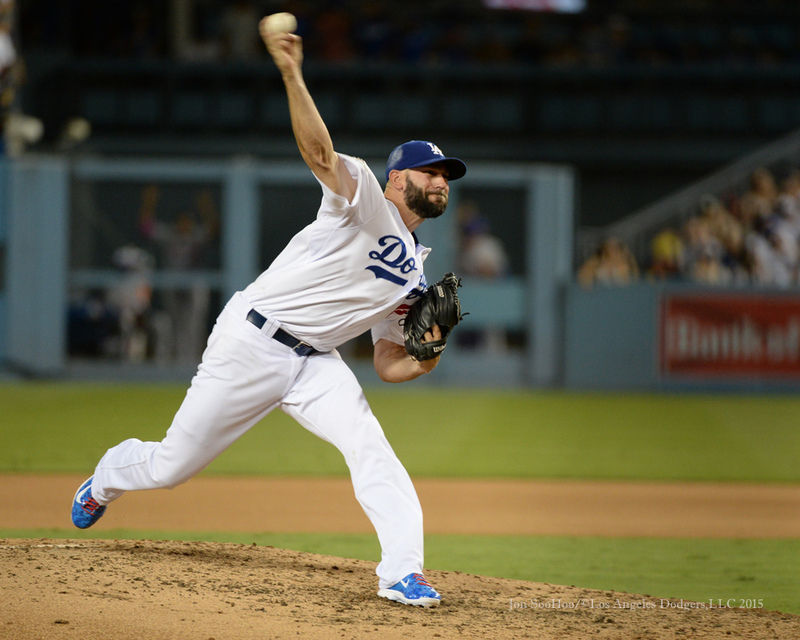 After spending the middle two months of the season on the disabled list with an oblique injury, the Dodger reliever had a 1.31 ERA for the rest of the season, striking out 26 in 20 2/3 innings while allowing 20 baserunners. Hatcher topped that off by pitching 3 2/3 hitless innings in the National League Division Series against the Mets, retiring 11 of the 12 batters he faced. Considering all the grief he took for his subpar first half (6.38 ERA, 1.52 WHIP), you might think Hatcher would feel cheated for attention over the final three months. But in a phone interview last week, I stepped to the plate with a question about that second-half success, and he whiffed me. “I wouldn’t really call it success,” Hatcher said. “I would call it doing my job. Obviously, I didn’t do it several times this year, (though) I did it more so than not. Joc Pederson, Hyun-jin Ryu and Justin Turner at Adrian Gonzalez’s Bat4Hope Softball Game on November 7 at Dodger Stadium. It’s true that as of now, it’s uncertain who will fill out the Dodger starting rotation when the 2016 season begins April 4. Behind established veterans Clayton Kershaw, Brett Anderson and Alex Wood — all lefties — the next healthy pitchers in line are Mike Bolsinger, Carlos Frias, Joe Wieland, Zach Lee and Ian Thomas, as well as newly acquired Frankie Montas. Then there are those who haven’t even made their big-league debuts, such as Jose De Leon, Jharel Cotton, Ross Stripling and 19-year-old Julio Urias. But any of those, along with any barely experienced veterans, would have to make quite an all-around impression by April to begin the season in the Majors. 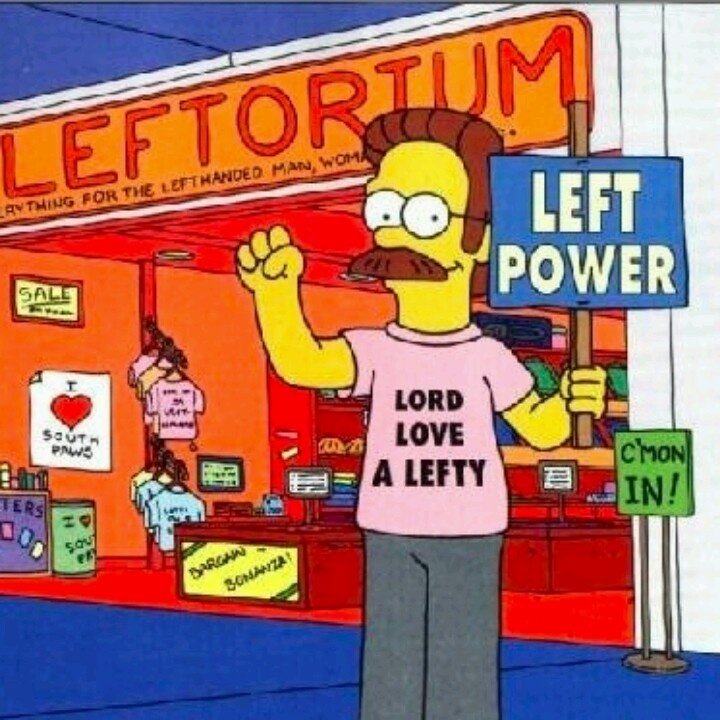 Left-handed pitcher Tyler Olson has been acquired by the Dodgers from Seattle in exchange for cash considerations or a player to be named later. To make room for Olson on the 40-man roster, Los Angeles designated right-hander Daniel Reynolds for assignment. Reynolds was claimed by the Dodgers 11 days ago. 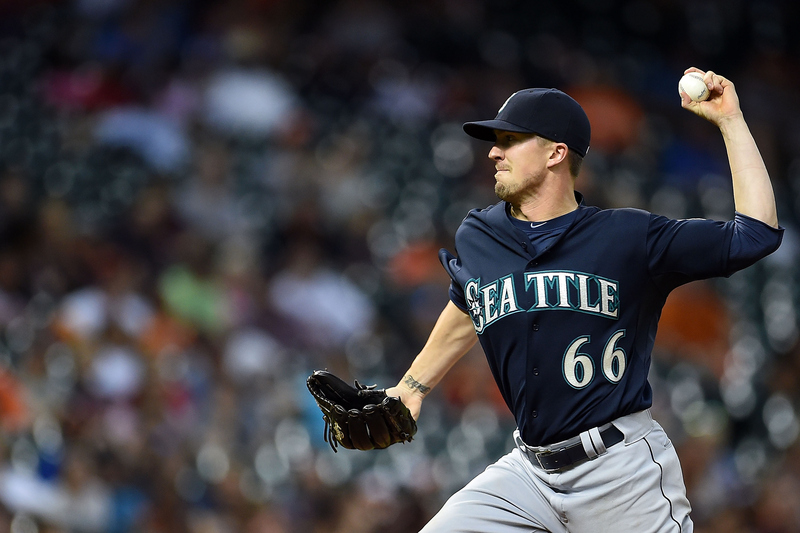 Olson made his Major League debut in 2015 with the Mariners, striking out eight while allowing 29 baserunners in 13 1/3 innings. His WHIP was 2.10, but that’s a bit deceptive. Rather remarkably, Olson had seven intentional walks to lead the entire American League, despite pitching his final MLB game of the year on May 2. To put that in perspective, the Major League leaders in intentional walks, with eight, were Philadelphia’s Luis Garcia (66 2/3 innings) and Atlanta’s Shelby Miller (205 1/3 innings). Only one pitcher in big-league history, Butch Metzger with the Giants in 1974, has ever had at least seven intentional walks with fewer innings pitched in a season than Olson. On April 15, Olson intentionally walked Joc Pederson with two out in the fifth and Howie Kendrick with two out in the sixth. Neither scored. Overall, two of the seven players walked intentionally by Olson in 2015 eventually came across the plate. Spending most of his 2015 season in Triple-A Tacoma, Olson had a 4.47 ERA with 53 strikeouts in 54 1/3 innings — with no intentional walks. He turned 25 in October. Vin Scully narrates the Dodgers’ 2015 electronic holiday card, a winter fairy tale like you’ve never seen before. 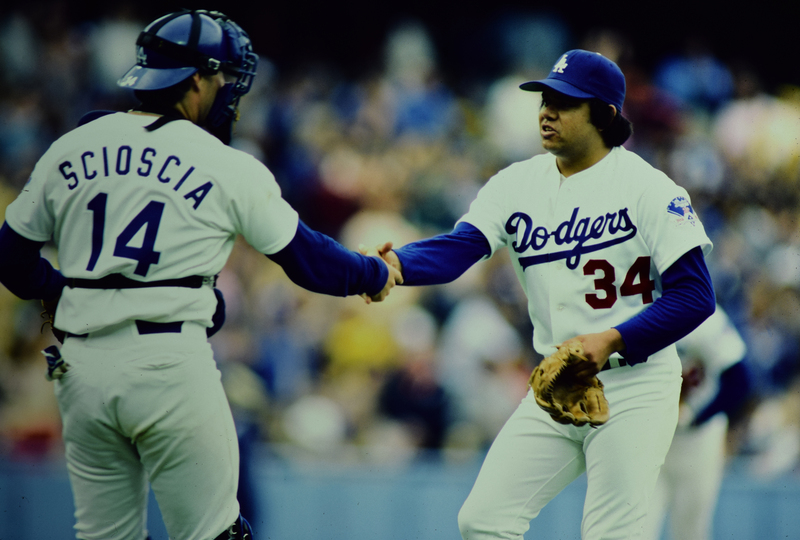 There are limited spaces available for “An Epic Evening with Mike Scioscia and Fernando Valenzuela,” taking place January 21 and hosted by Art of the Game at a vintage hotel in Hollywood. For more information, visit Art of the Game.